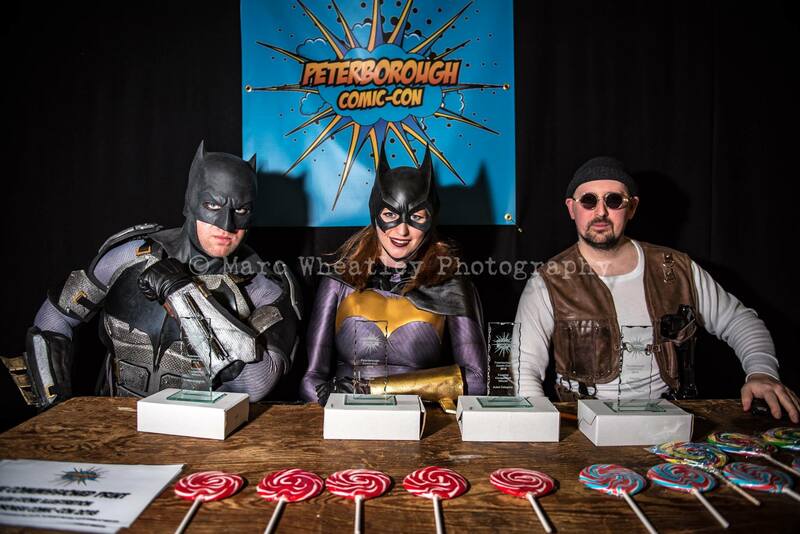 On the 24th of October 2018, I was invited to Guest Cosplay at the first Peterborough Comic-Con and it was a blast! I arrived just before the doors opened to the queue of families, cosplayers and pop culture enthusiasts. I rushed my cosplay display and Dax79 publicity materials to my table and set up. 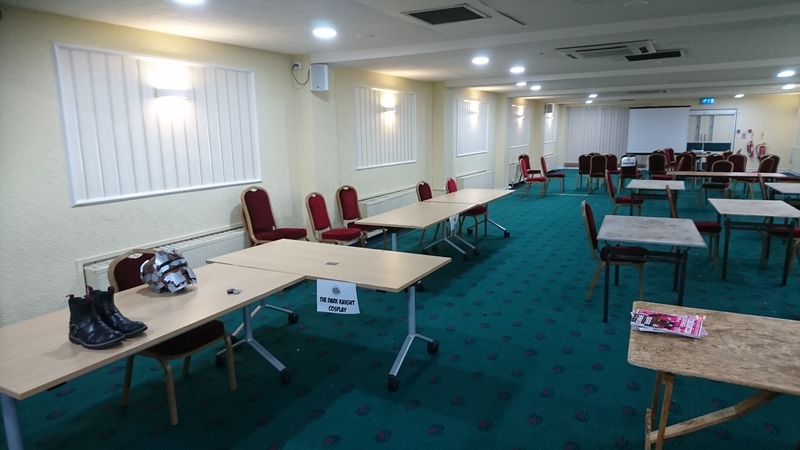 I was situated on the second floor of the Cresset along with some other fantastic cosplayers and a mix of tabletop and console gamers and Sith and Jedi fighters. The workshop area was packed! It was a full house! As I glanced around I could instantly see Tank Girl, Elves and Ezio Auditore. The PowerPoint presentation and talk took around 20 minutes and afterwards I answered some questions. I got some great feedback afterwards too regarding my talk (all positive). 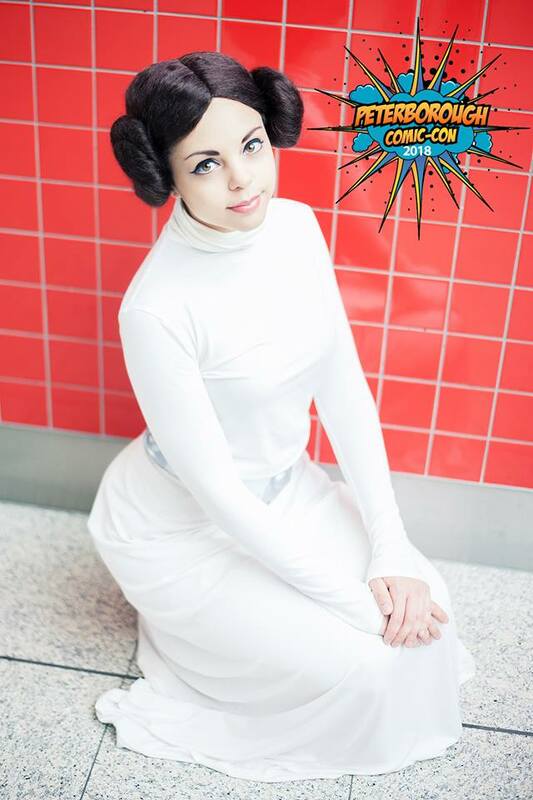 Maybe I will see some of you in your new cosplays in May at the MCM London Comic-Con? With the talk over it was time to hang out with the other cosplay guests in our zone and continue talking cosplay! 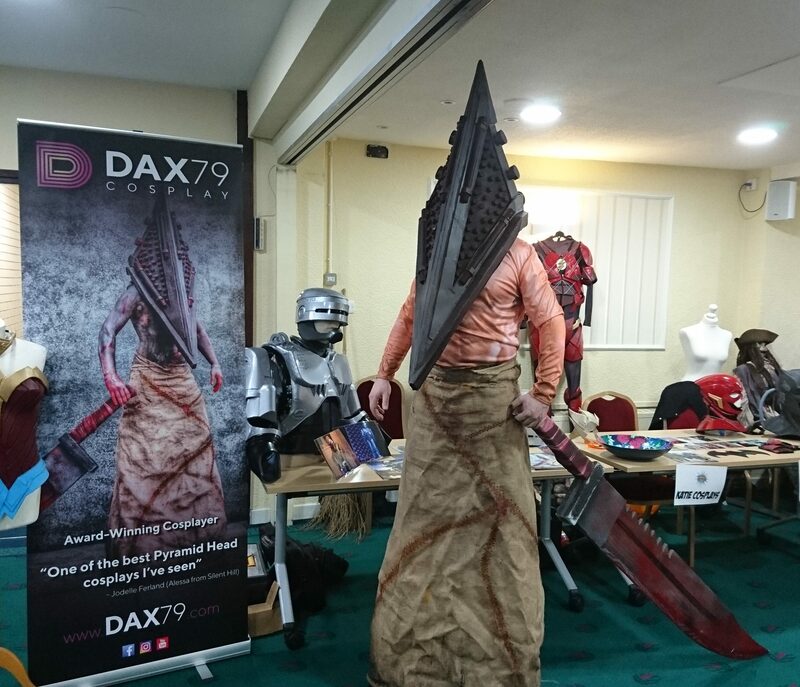 At midday, I swapped cosplays to the winning vote from my facebook page, Pyramid Head. Due to this being a short midday cosplay and having Léon: The Professional to wear next, I decided not to bodypaint myself. Unforchanaly the flesh shirt I was wearing didn’t look great. I don’t think I will use that again. Still, he was a success and I hope to see some pictures of him online! Then it was time for a well-deserved break. The organisers of the convention feed and watered me before the second part of the day. During my break, I had a walkaround the con floor to see what else was going on. Then it was time to get my last cosplay of the day on. Léon. Léon: The Professional went down a treat with lots of people getting selfies. The staff running the convention took a shine to him too. Then it was time to have one last walk around the con floor before joining Katie Cosplays and The Dark Knight Cosplay to Judge the Masquerade. The winning ‘MINI’ was a fantastic future cosplayer, Charlie McLennan as Harry Potter. This small boy jumped up on stage shouting “Expelliarmus” pointing his wand at the spectators and judging panel. Next was ‘JUNIOR’. 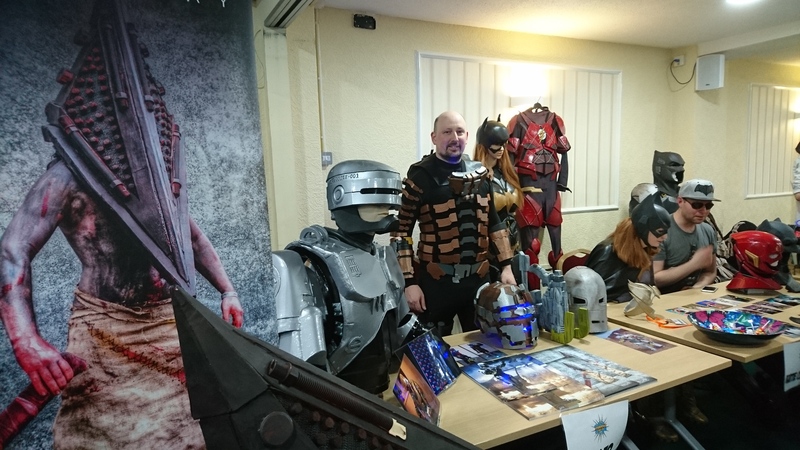 The winner was Jamie Marchant as a Mandalorian from Starwars. This young cosplayer had handmade his full suit from cardboard and walked on stage with attitude. ‘ADULT’. This was a hard category to judge and our panel had to really discuss this class. The winner was in a league of her own. As she entered the stage I could see multiple techniques that she had used for her costume. I could see paper mache and maybe some Worbla. Lots of hand stitching, makeup, weapons all handmade and some EVA foam. She used the entire stage to show her cosplay and also performed to the judges. 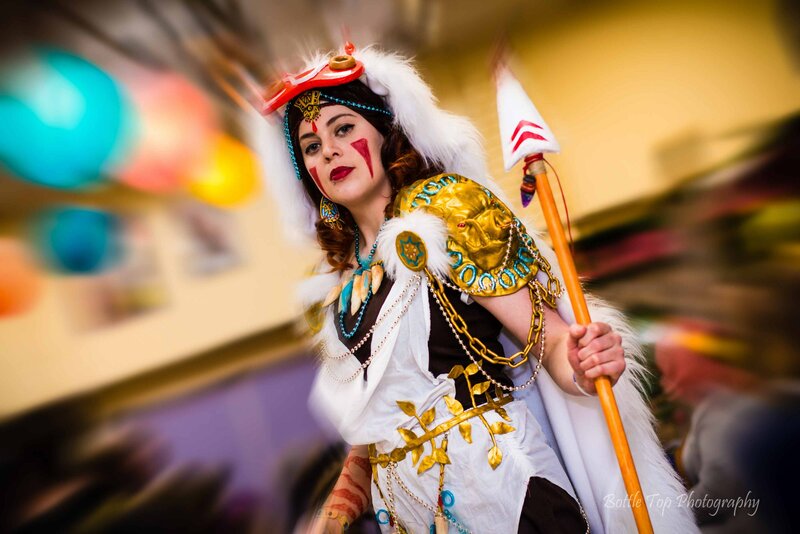 Well done Jess Mann as Princess Mononoke. ‘SQUAD’. This was interesting to judge. 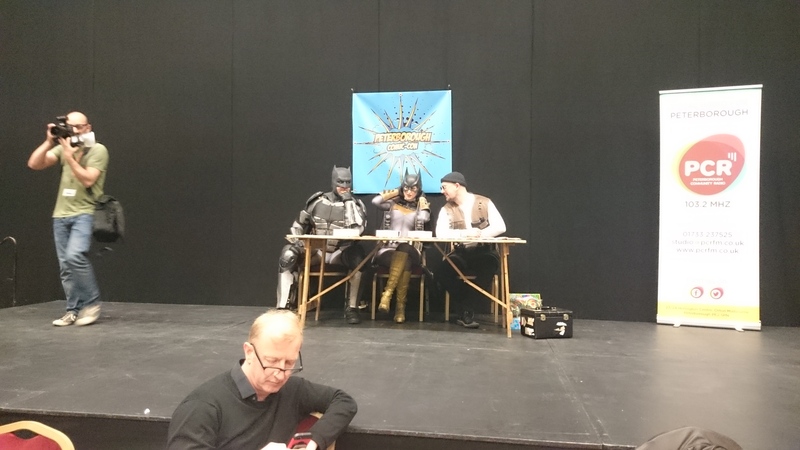 The winners were the first cosplayers up on stage. The Darling family. This cute but crazy cosplay group took on ‘The Walking Dead’. A 3-foot Negan with ponytails walked on stage with her sidekick Dr. Eugene Porter, monkey an all. Followed shortly by Ezekiel carrying another small child dressed as Shiva the tiger. They did a skit and left the stage. 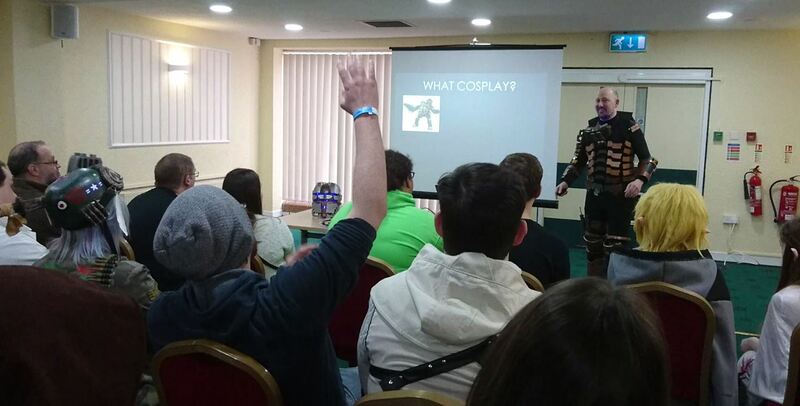 After the masquerade, it was time to head back to the cosplay zone and continue talking Cosplay. 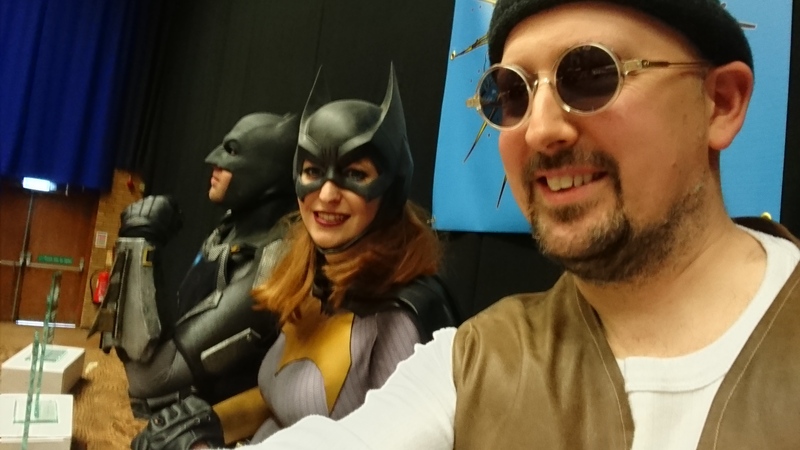 It was great to bump into Amberoo a talented cosplayer and YouTuber who I know as (Probably) the best Mathilda (From Léon: The Professional) cosplayer in the UK. It was only right that I would meet her in my Léon cosplay, today though she was dressed as Princess Leia. Yes, I have to add this in! 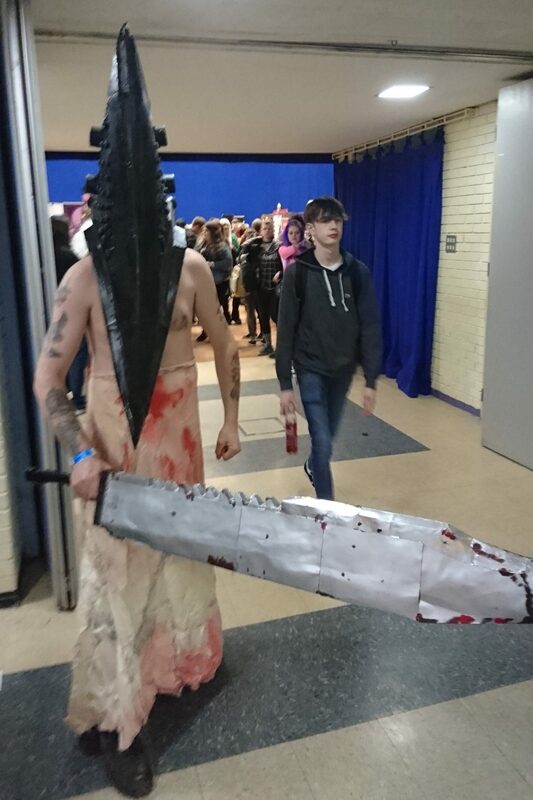 As you all know I love Pyramid Head cosplays! This guy had handmade his cosplay and rocked his smock! Then the day was coming to an end. It was great to see that both my Mother and Father at the con. Both had dressed for the occasion. 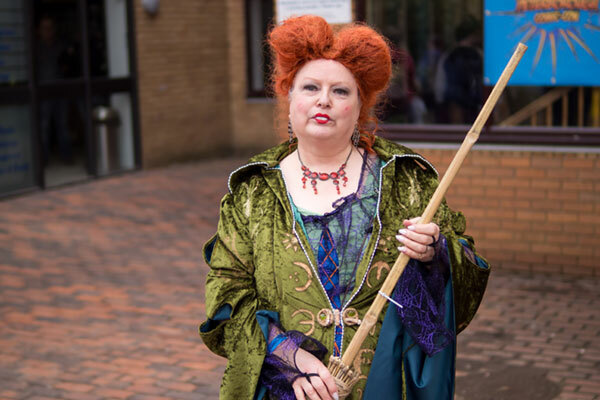 My mother as Winifred Sanderson from the 1993 version of Hokus Pokus, and my father as the 11th Doctor Who. 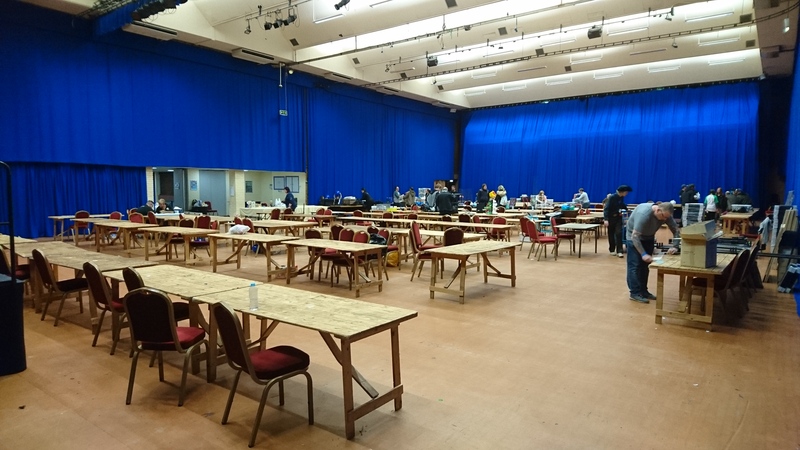 The day came to an end and everyone emptied the building until next year. Thank you Qkiy for inviting me as a guest. I thoroughly enjoyed myself and hope I have inspired some new cosplays! 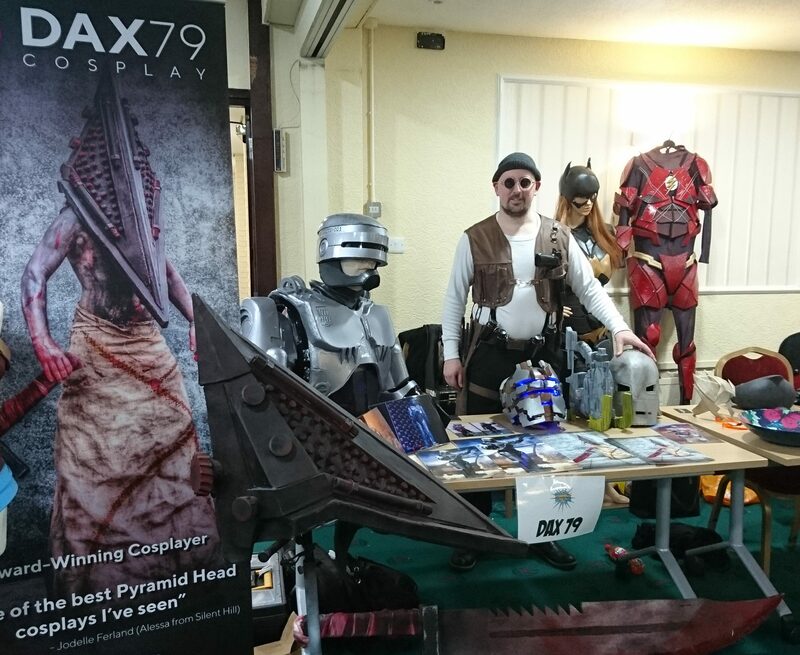 If anyone has any photographs of me in any of my cosplays please let me know either on here or via my Dax79 Cosplay page. Hopefully, I will post some footage soon and I look forward to any feedback! 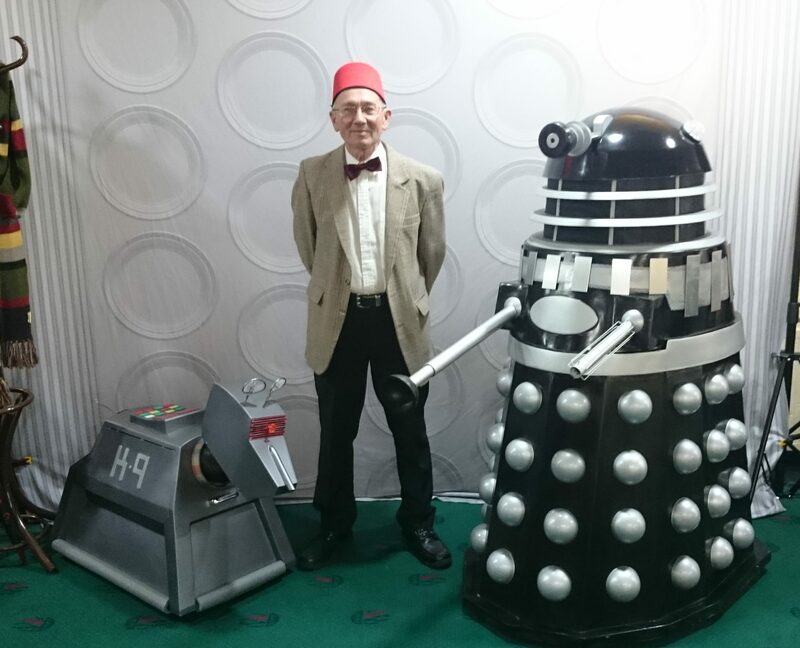 This entry was posted in CONVENTIONS, COSPLAYS, Guest Appearing and tagged Cosplay, Guest, Peterborough, Peterborough Comic-con, Qkiy. Bookmark the permalink.